Career Advantage is now CAREER CONNECTIONS! The only thing that changed is the name. CAREER CONNECTIONS is an employment and training program that focuses on developing academic, occupational and social skills for persons 16- 24 years of age. We believe in creating and exposing young people to opportunities that not only enrich the lives of the participants, but also of those around them. We offer work experience, leadership skills, career exploration, work readiness workshops, occupational training, financial literacy, and more. If you are between the ages of 16-24 and are ready to find work, go back to school, or gain work experience, call Emily at 1(866) 420-4531 ext. 59640 to see if you are eligible for the Career Connections program. 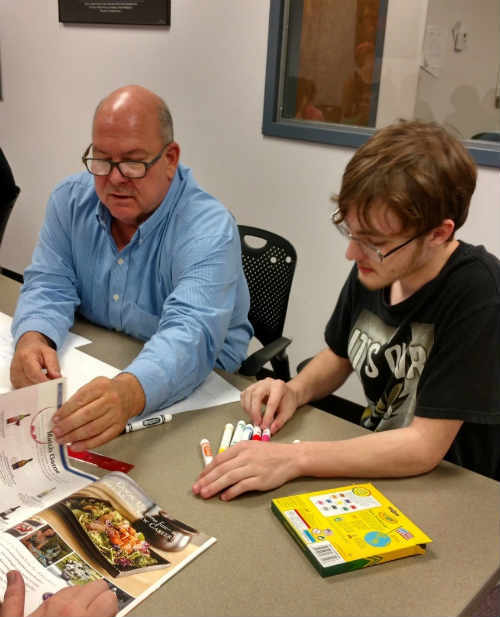 A mentor spends time with a participant in the Career Connections Wood County mentor night program. Can't find a job when everyone wants experience? We can help! We offer more than a job - we offer work experience that will help get you prepared for a career you love. 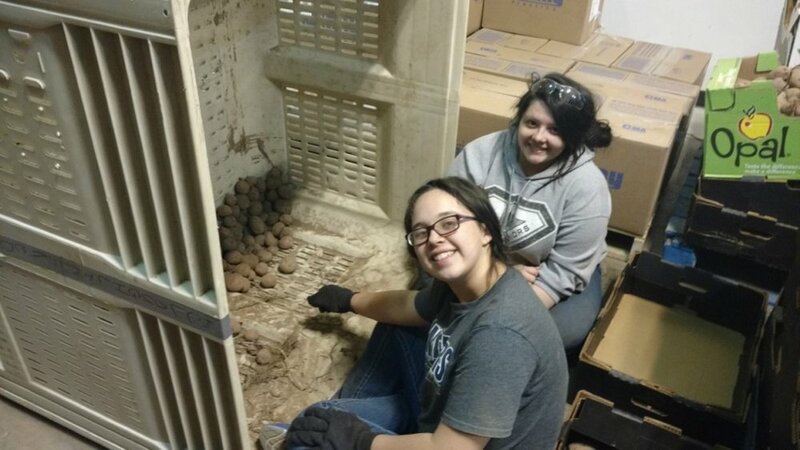 Career Connections Paid Work Experience (PWE) is a career preparation program in which participants are placed at a work site to do real work for real pay and are held to the same standards as all regular employees. The program is designed to expose participants to careers and jobs, develop pre-employment and work maturity skills, build occupational and technical skills, and is structured to promote learning through paid work. Interested in furthering your education but not sure what to do first? Let us help. We can assist with career exploration, job shadowing, college campus visits, and work experience to help you find the career that is right for you. As part of our program, you will work one on one with an experienced career specialist. Gain valuable leadership experience, work in your local community, and volunteer with mentors to help prepare you for your future. 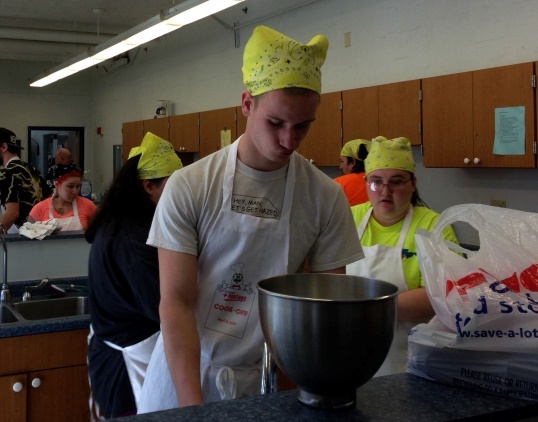 Career Advantage students learn real-world work experience. 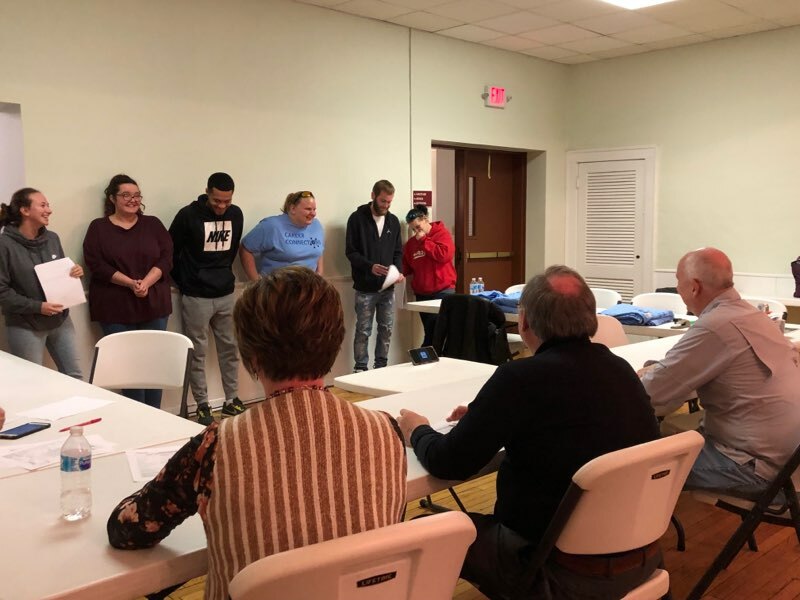 Job seekers and Career Connections participants at the Mason county preparation workshop, preparing for the Reverse Job Fair. Career Connections participants traveled to Mason county for the quarterly mentor event. This event was focused on entrepreneurship. Career Connections exposes participants to many different cultural activities, events and community service volunteer opportunities. These activities provide occasions for the participants to build leadership skills and foster civic pride in the participant. Career Connections Staff attend meetings and activities on a regular basis to maintain relationships within the community and recruit interested young adults to the Career Connections program. 19 participants earned their high school diplomas or equivalent during the 2016-17 program year. 80 participants gained unsubsidized employment during the 2016-17 program year. 13 participants have enrolled in college/technical school or the military during the 2016-17 program year. 28 participants either raised an EFL level or are no longer testing at Basic Skills Deficient on the Test of Adult Basic Education. 105 participants participated in the Paid Work Experience program during 2016-17 and 37 participants continue working. Program staff provided 4,337 services to participants during the 2016-17 program year.